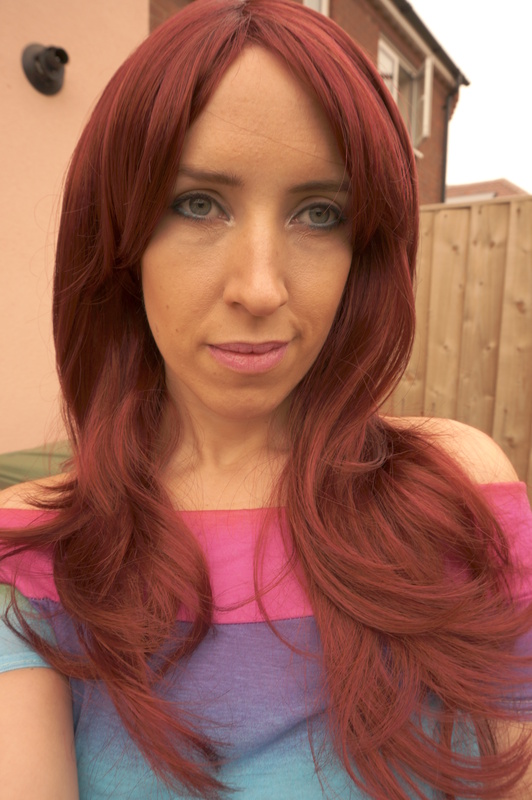 Last week the lovely ladies at Wonderland Wigs asked me to choose a wig or hair piece to review. 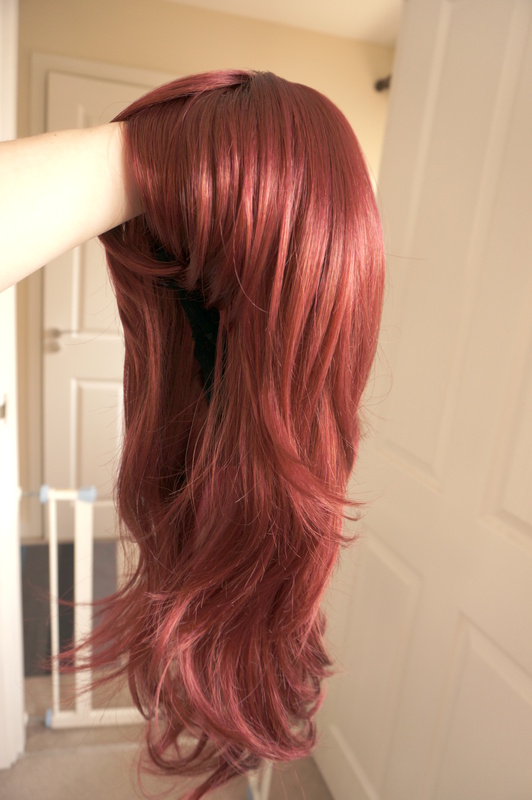 I thought I’d go for something different to what I’d usually wear and chose the Cassy wig, which is a lovely deep red colour. I’ve never had red hair before! The Cassy wig is in a long layered style with a separated fringe and razor cut edges. When it arrived I was surprised how impressed I was with the quality. 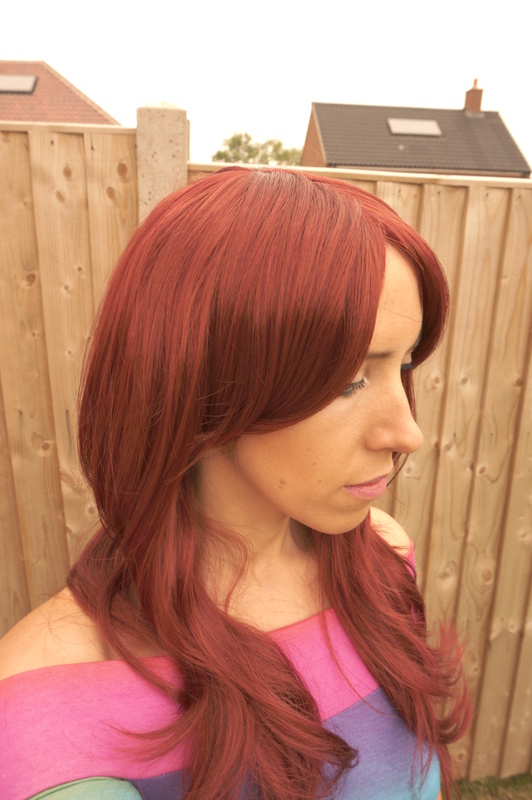 I have worn many wigs varing in price and quality, and considering the price of this wig is at the lower end of the scale (£24.99) it is fabulously thick, and better quality than some of the more expensive wigs I’ve tried in the past! The hair is already styled, so you don’t need to worry about styling it yourself and you can also adjust the inside cap easily for a snug fit. So this is what it looked like on! I love it! 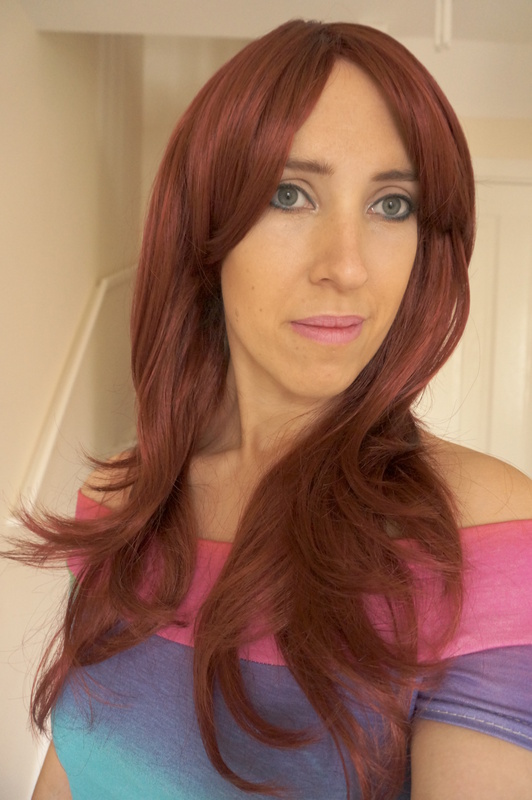 I’d love to hear if there are any other bloggers out there that wear wigs? So lovely! I’ve tried something from them and i agree the quality for price is amazing!